The owners of commercial and private properties are legally responsible for ensuring the safety of any visitors or guests to their properties. Sadly, many of these people fail to keep their properties in safe condition, and every year innocent individuals are injured in accidents that could have been prevented. When this occurs, accident victims may be able to fight for financial compensation from the person or entity responsible for this devastating form of negligence. 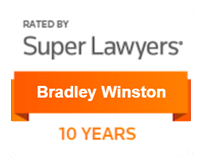 At Winston Law Firm, our attorneys understand how traumatic accidents on dangerous properties can be and we want to help you take action against the party that left you injured. Do not hesitate to contact our offices at [phone-number] to speak to an experienced and compassionate lawyer about your situation today. Negligent property owners should not be allowed to get away with putting innocent people in harm’s way, so it is important that you take legal action if you have been injured because of unsafe conditions on someone else’s property. 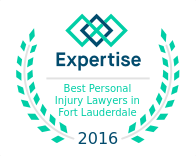 Each Fort Lauderdale personal injury attorney at Winston Law Firm, have years of experience handling premises liability cases and can help you stand up for your rights. If you or someone you love has been injured because of a negligent property owner or manager, contact our offices at (954) 475-9666.